For the love of greek yoghurt. Okay, I’ll be honest. 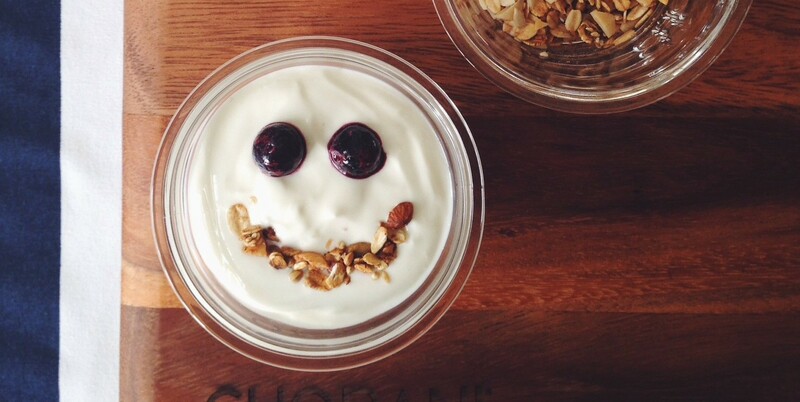 For the love of Chobani Greek yoghurt. One question I was asked was ‘how do you use Chobani?’, and today I’m going to share that with you. But first, why do I love to use Chobani so much? It’s thick and creamy. Then it must be full fat, right? Wrong. There are no fat and low fat varieties available. With and without fruit. It’s the straining process which removes the excess whey that makes it so thick, and results in its high protein content. ~10g protein/100g for the plain, and about ~8g/100g for the fruit containing varieties. This also results in quite a strong flavour, and may have you running for the hills. But it quickly grows on you, I promise (I used to eat artificially sweetened flavoured yoghurts for goodness sake). It’s also relatively low in sugar. I have heard concern expressed re: sugar content of the fruit varieties. Keep in mind that this comes predominately from the lactose (naturally present sugar in milk products) and the fruit. The Australian manufactured varieties are also free from GMO’s. And I love it because it’s so extremely versatile and can be a healthy substitute for sour cream, cream and even ice-cream. So here are a few tips of how to use plain Chobani. Some are mine, plus a few I’ve picked up from friends along the way. – It’s a great snack. If you don’t like the flavour, add some frozen berries or a sprinkle of cinnamon. 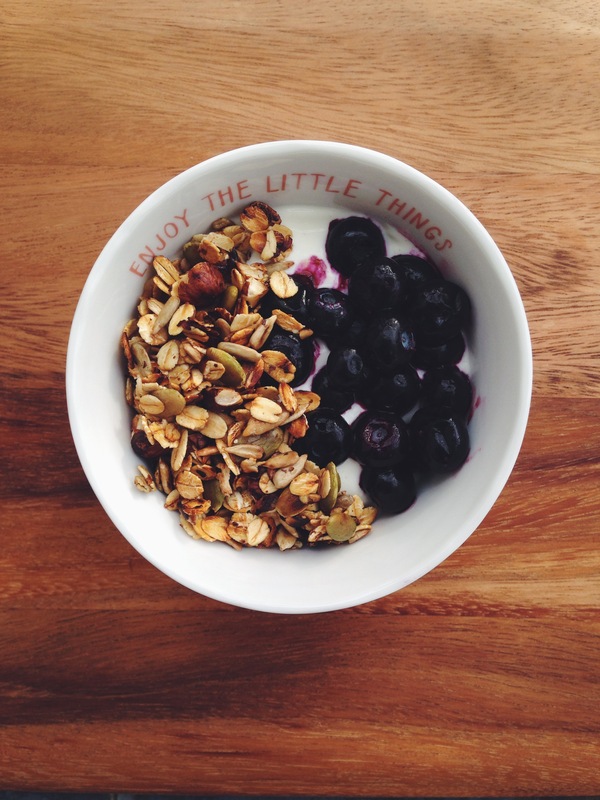 – With fruit, muesli and a sprinkle of nuts & seeds for a well balanced breakfast. – In smoothies, or mix a tbsp or two with a frozen banana to make some soft serve. – Or just put it in the freezer. It makes a great fro-yo. Just mix it every ten minutes so it doesn’t go rock hard & icy. This plain was mixed with frozen blueberries & frozen. – It can be a replacement for sour cream on your tacos, nachos, soups and baked potatoes. – It can replace cream cheese or feta cheeses in your homemade dips. 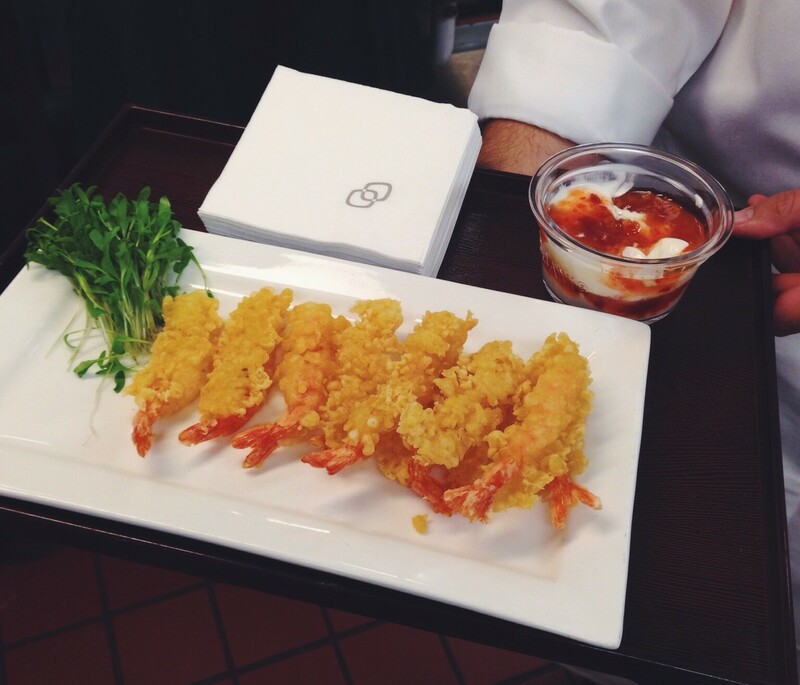 With a drizzle of sweet chilli sauce, it can make a great dipping sauce too. – I’m currently using it as a salad dressing. Mix a tsp with some dijon mustard, smoked paprika, olive oil and lime juice. It’s a winner. I’ve also used it as a topping on pancakes, pizzas, in cupcake icing and in muffins. The possibilities are endless. So tell me, how do you use your greek yoghurt? 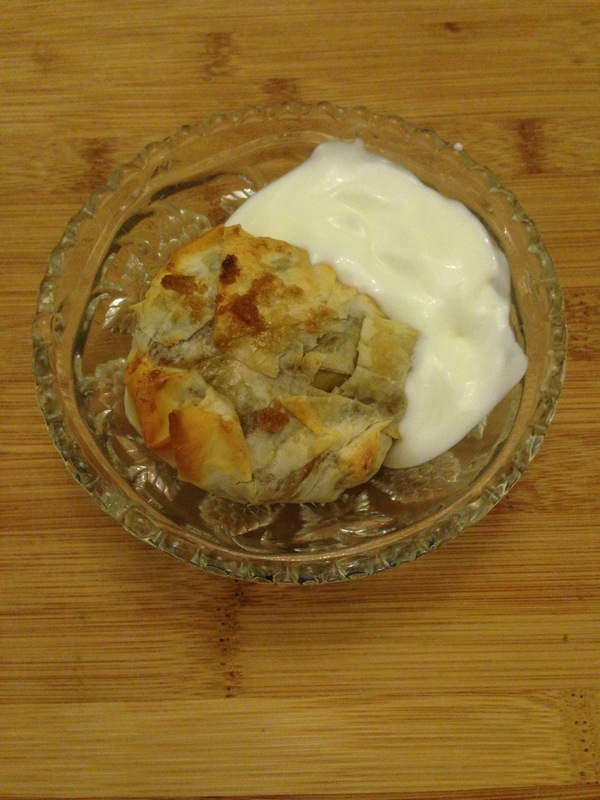 < The South Melbourne Market & Chai-infused apple ‘dim sims’. I love this post Emma! I use my Greek yoghurt as a sour cream replacement when I make Mexican food and also as a cream replacement when I eat home-made cakes. I’m defiantly going to try some chobani with some berries as a fro-yo this week, something I can enjoy after dinner. Thanks! Thanks Nicole! Yes, the fro-yo is a fav of mine. Although I can often be impatient waiting for it! And it’s my go-to on top of baked sweet potatoes and anything mexican!